For the last few years, we’ve helped a number of real estate websites get more organic traffic from Google. NOTE: This client chose to remain private, but you can check our case studies for more results. 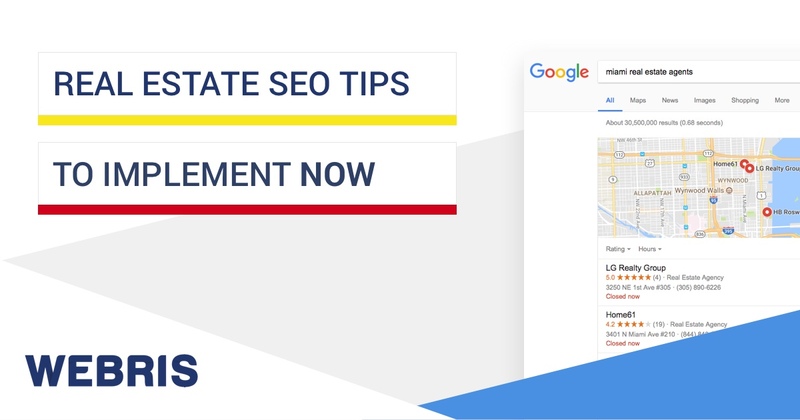 We decided to put together this post to round up our tops “real estate SEO” strategies that have helped to achieve explosive results. We’re not going to cover basic SEO tips in this post, so I want to cover items that you need still to optimize (in addition to this post). Technical SEO. 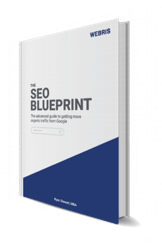 Items like optimized URL structure, working Sitemaps.xml website structure [NOTE: read our in depth guide to technical SEO here]. On page SEO. Items like page titles, keyword density (on each page) and content quality / depth. User experience signals. Items like on site dwell time, low bounce rate and searcher satisfaction. Online buzz. Items like social media activity, branded search and online coverage (press and bloggers). These items are beaten to death on the web, so we’re going to focus on strategies they’re not covering. SEO is incredibly competitive in the real estate niche. The SERPs are dominated by authority sites like Zillow, Realtor and Trulia. However, small sites can compete by understanding searcher intent and choosing keywords the big sites aren’t. The easiest way to illustrate the keyword selection process is with a funnel. We call these your “money” keywords, searches like “real estate in Downtown Del Ray“. These searches tend to be dominated by large sites like Zillow and it takes a significant amount of time for a smaller, local site to rank for them. These are the searches people are performing before looking for your services. 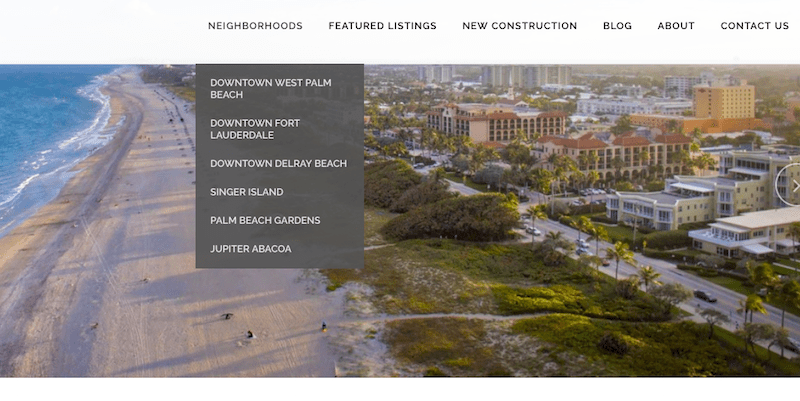 Put yourself in the shoes of your perfect client – if you’re selling high end homes in the suburbs, people would be looking for things like “best elementary schools in West Palm Beach” would derive a certain level of intent that the person is looking to move into that area. 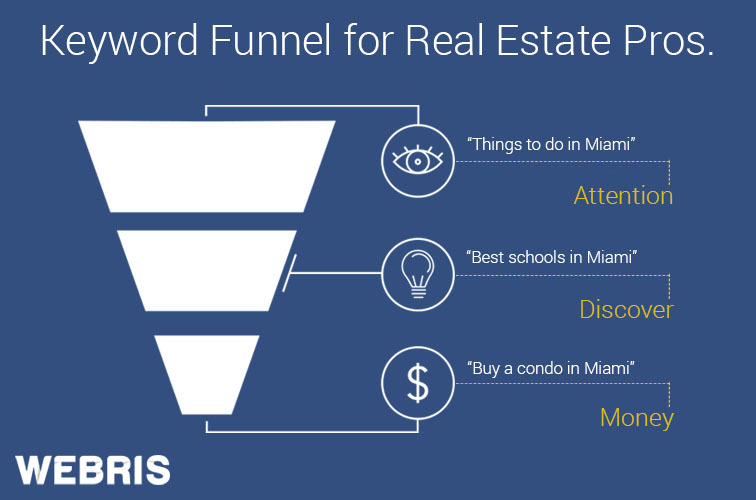 High level, informational keywords that are more related to your target audience than real estate. 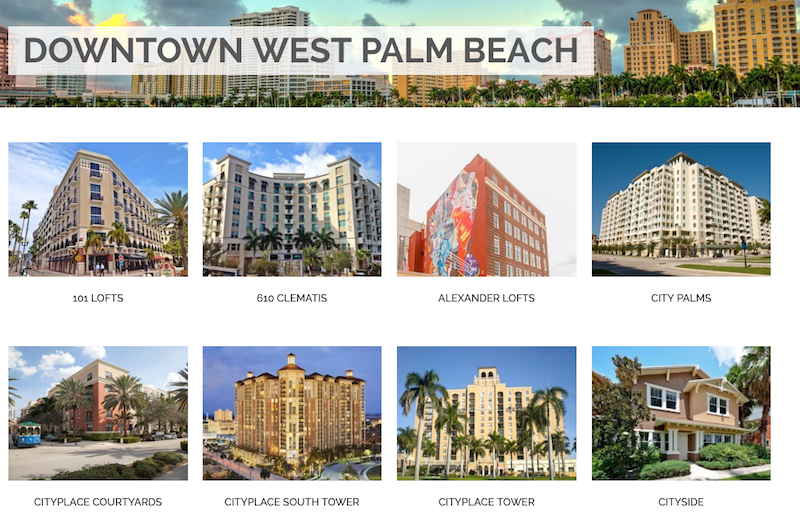 For example, searches like “best restaurants in Downtown West Palm Beach”. While these posts don’t drive a lot of leads, they do drive traffic and awareness for your brand. Luxury keywords brutally competitive. 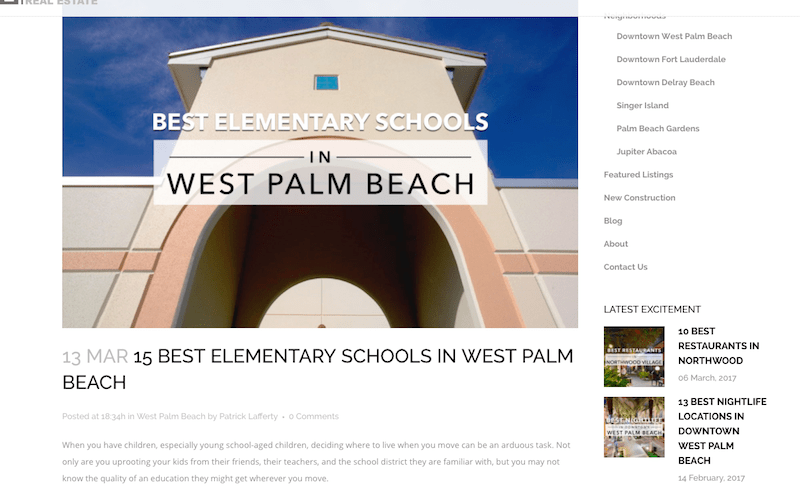 The more competition, the longer and more expensive it is to rank your website. The quality of those keywords aren’t that great. You get a lot of window shoppers who just want to look at pictures – it’s not the best traffic. It’s rare that someone will buy a $10m home from an internet search. People with money work off referrals, they’re generally not performing the Google searches. Install Keywords Everywhere, a free browser plugin that tells you the number of times that keyword is getting searched per month. Type various “keywords” into Google, based on your business (i.e. 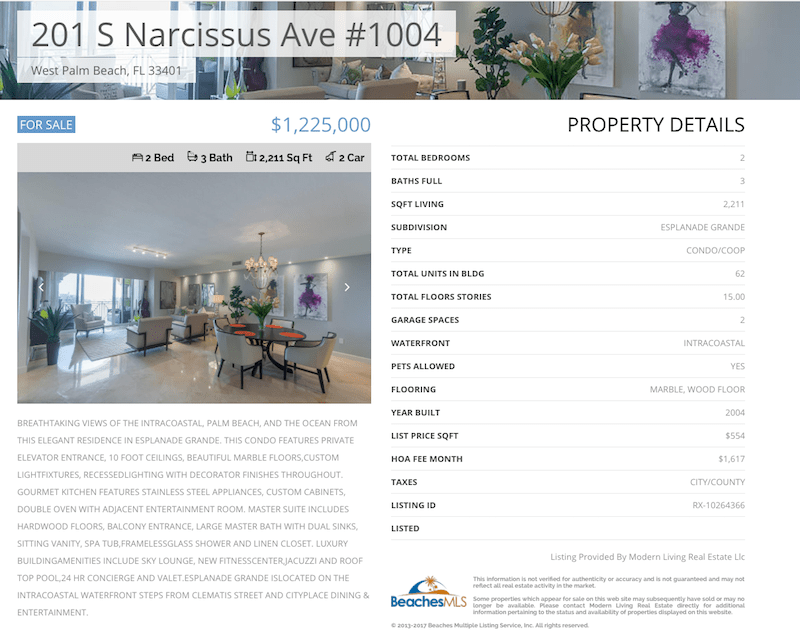 “Miami real estate agent”). Use Google Suggested Search to tell you similar searches and their search volume. Repeat this process to build out a full list of keywords. We use Google Sheets to record our keyword research – our template is available in our Tools section. Broadly speaking, there’s 3 types of pages we need to address on your site. Listings turn over fast. A lot these pages get published and are irrelevant before Google has a chance to rank them. If not dealt with properly, dld listing pages can also cause issues by bloating your site (you should delete old listing pages). These pages are low quality from Google’s point of view. Listing pages are directly fed from MLS feeds, meaning thousands of other websites have the same information. If you have a new, less authoritative website, it’s incredibly important that every page on it is unique and valuable. 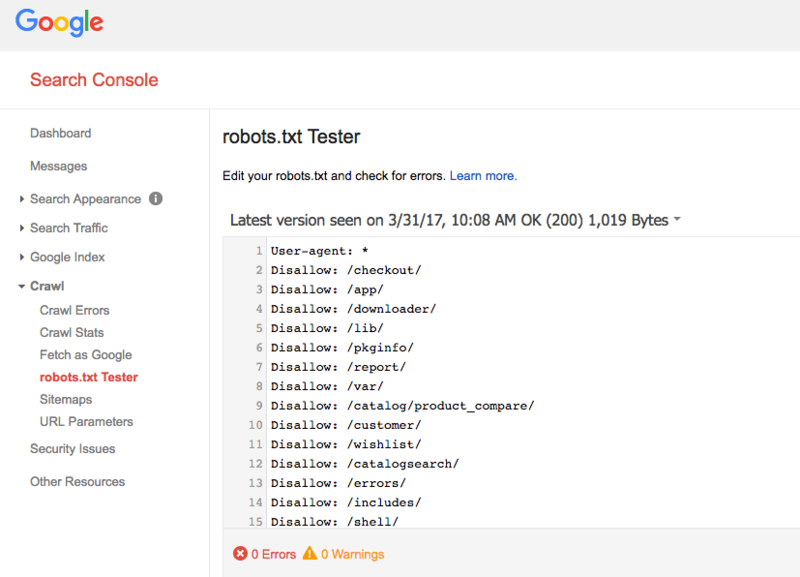 We suggest blocking the crawl of your listing pages in your Robots.txt file – this will keep the pages live on your site, but will tell Google NOT to consider them when ranking pages. I know this seems counter intuitive, but it cleans up the overall performance of your website. When you block low quality pages, Google is able to focus on the pages that MATTER – these rank better and faster. These pages will have the most SEO value to your website. There’s a ton of search volume with people looking for real estate by building name or neighborhood – these pages give you an evergreen opportunity to rank for them. These will be targeting “bottom of funnel” keywords. These pages should be built out with a lot of text, images and information. We want to create robust landing hubs that Google will rank as the authoritative page on that building or neighborhood. If your site supports it, add a section to your top level navigation that helps people find these pages and tells search engines these are on top of your priority list. 3. Blog / resources pages. 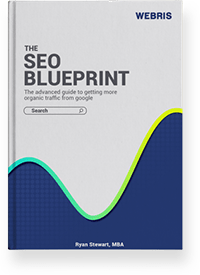 These pages will be used to target mid and top funnel keywords. The topics don’t have to be about real estate, but instead on the searches people are looking for before they’re ready to hire you. Image optimization is important because it gives you the opportunity to rank in Google Images. Try and get unique photography for your website, name the raw image file with keywords, alt tags and upload the image URL to sites like Pinterest to build some equity into it. 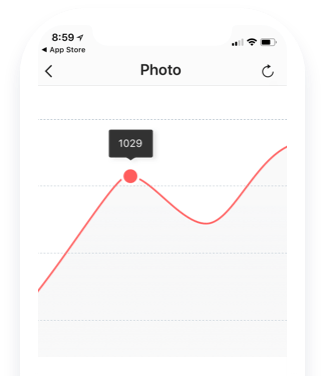 You can track to see if images are driving traffic in your Google Search Console platform, filtering for images only. Traditional SEO tactics still apply – your pages should have optimized titles containing your main keyword, in depth on page text (at least 500 words), images, media, etc. If you’re new to SEO, “links” are the #1 ranking factor with Google. A link is simple – it’s when another site “links” to yours as attribution. 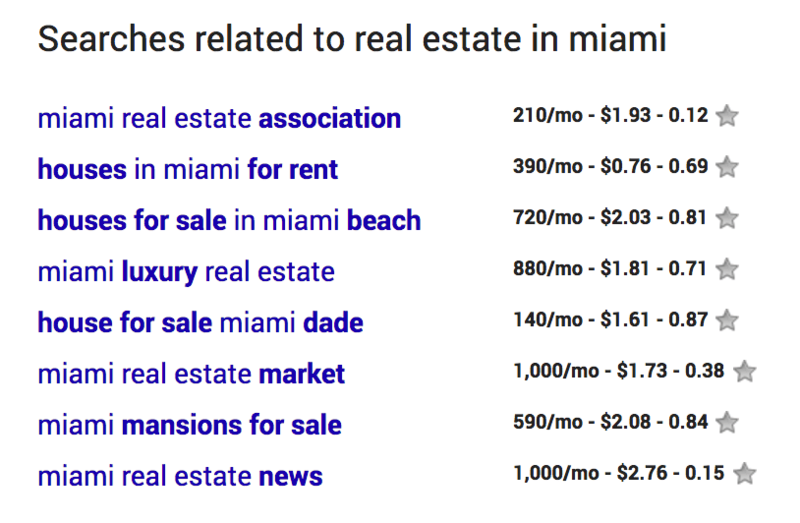 Think a HuffPost article about Miami realtors, mentioning you, then linking to your website as a citation. That link is incredibly valuable to your SEO. If your website is new, you’re going to need to land at least 10 high quality links each month from relevant websites (i.e. blogs about real estate, travel, etc). Local bloggers. 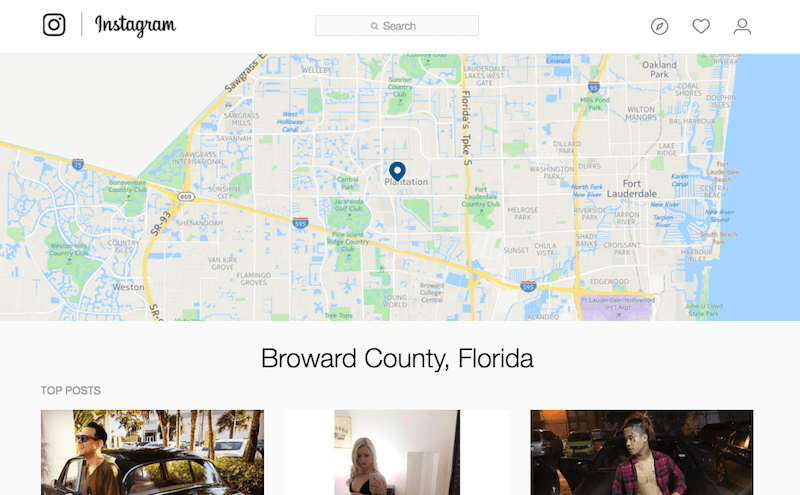 Anyone blogging about your local destinations, nightlife, education (etc) are a good fit. Interior design bloggers. Design and real estate go hand in hand so they’re a natural fit. We have a team of interns that combs Instagram using hashtags and geo location data to find lists of bloggers that meet our criteria. We then simply send them an outreach email with a value proposition to be featured on their website. It’s a lot of work, but the results speak for themselves. As mentioned, we focused on advanced SEO tips in this post. We have plenty of more information on our website that will help you fill in the blanks. Thank you for the comprehensive breakdown. I find your content super informative overall but this Real Estate SEO is unlike anything out there!! I’m a huge fan and a customer of your templates. P.s. The embedded link “We use Google Sheets to record our keyword research – our template is available in our Tools section.” is directing to the “Google Analytics Expert Consultants” page. I’m dying for the mentioned keyword sheet. Is there any way you can help us with the download link?